Hillside has a long partnership with our Indigenous community members, who have run the Aboriginal Circle programming for over two decades. This year, we are welcoming the change of the 'Aboriginal Circle' to the 'Indigenous Circle', following the lead that activists, scholars and members of the Indigenous community in Canada have made. Programming for the Indigenous Circle is once again being led by the wonderful Jan Sherman and Lois MacDonald. We'd like to share with you some of the events and guests happening this July at the Indigenous Circle and and throughout the festival. In 1996, June 21st was officially declared National Aboriginal Day by then Governor General Roméo LeBlanc after decades of activism by Indigenous leaders. The date corresponds with the summer solstice, the longest day of the year, an important time in many Indigenous cultures. The day is meant to be a celebration of the "unique heritage, diverse cultures and outstanding achievements of First Nations, Inuit and Métis peoples in Canada" with many different events and celebrations are being held across the country today. What are you doing today? Chances are that you are going to work and you're not going to think much more about it past this newsletter. Which is kind of the problem isn't it? Did you know that today is a Statutory Holiday in both the Northwest Territories (since 2001) and in the Yukon (as of May 2017). That leaves ten provinces and a territory, not to mention the federal goverment, which have not taken this extra step. Aside from a day off, what does making it a statutory holiday actually matter? It symbolizes that as a nation, we recognize the importance of the subject matter and that we value it. It is the idea that we put aside our work for the day and focus on connecting to one another in a meaningful way, through education and building community. This call is focused on residential schools and there has been much discussion about whether it would be effective to broaden it to include a celebration of Indigenous culture as well as a commemoration, and fold it within National Aboriginal Day. Whether this is done or not, it IS important that we honour both the memory of trauma in addition to the uniqueness, complexity, and creativity of Indigenous peoples in Canada. We are entering into a new era in this country in how we view, interact with, and understand our relationship with the Indigenous peoples of this land. We must all be working towards reconcilliation and that wont happen unless every one of us and every organization, company, and level of government embraces that concept and that truth. "Hillside will create a more vibrant and caring world by promoting altruism, equality, environmentalism, and peacemaking in every aspect of it's work"
This is something we take seriously and we are proud to see it reflected in our legacy. However, we recognize that there is always more work to be done and we work to remain active in our recognition of our privileges, biases, and approaches to the world. To truly embrace and enact the spirit of reconcillation, it takes organizations like Hillside, and its members, to be leaders. It would be far too easy for us to take the 'easy' way, to pat ourselves on the back and not think about it. As an allied organization we have an even greater responsibility to reflect, listen, act, and reflect some more. We need to make sure we are constantly moving the bar and that we are constantly challenging ourselves to do more, to do better. Hillside has a long partnership with our Indigenous community members, who have run the Aboriginal Circle programming for over two decades. This year, we are welcoming the change of the 'Aboriginal Circle' to the 'Indigenous Circle', following the lead that activists, scholars and members of the Indigenous community in Canada have made. Programming for the Indigenous Circle is once again being led by the wonderful Jan Sherman and Lois MacDonald. Members of Wiiji Numgumook Kwe, the Guelph Women’s Drum Circle, will welcome all women and female-identified folk to join them in raising their voices in thanksgiving, and celebration. Grandmothers (Drums) are provided. 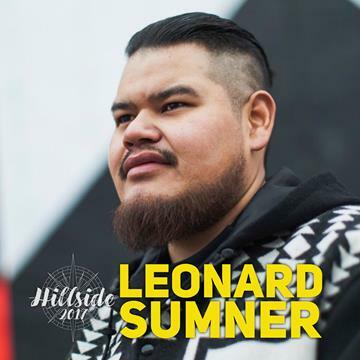 Leonard Sumner is an Anishnaabe singer who was on the forefront of #IdleNoMore and who confronts traditional heirarchies through his music. His revolutionary voice is not to be missed. Relax in the peaceful energy of the Tipi while Nokomis(Grandmother) reads First Nations, Métis and Inuit stories. This is a great way to take a break from the busy festival. 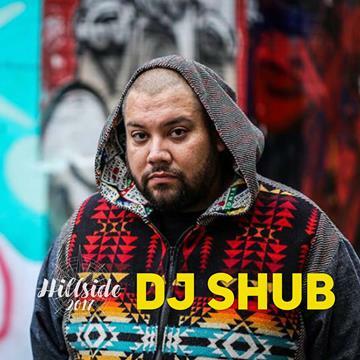 One of the founding members of A Tribe Called Red, DJ Shub is brilliant in his solo work. He actively challenges the white Eurocentrism of the Canadian identity and tirelessly works for the Indigenous community. Water is Life! Join members of the Indigenous Circle to honour and to give thanks to the waters from which we are born and that sustain all living beings. Everyone welcome. 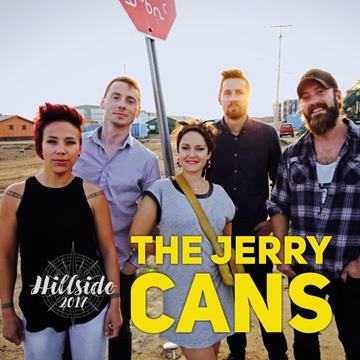 The Jerry Cans hail from Nunavut and strive to bring the power of the North wherever they go, infusing traditional Inuit music and themes with a contemporary feel. Learn the art of creating stone points and tools using basic traditional materials including Arkansas Chert. Come learn history associated with this important survival skill, and create an arrowhead. 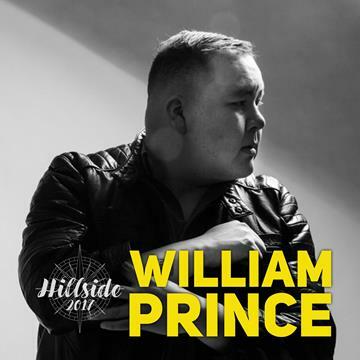 William Prince is a stunning and award-winning performer from the Peguis First Nation. His music challenges the status quo while seeking to share Indigenous stories and experiences.